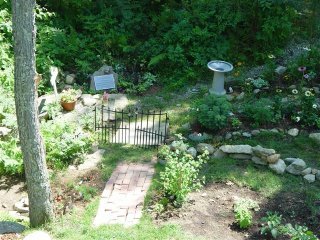 This garden was made by Cody Scherer-- who was Jesse's best friend from Warner! 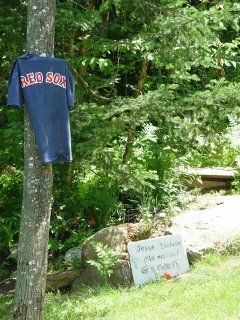 He is an absolutely amazing person! 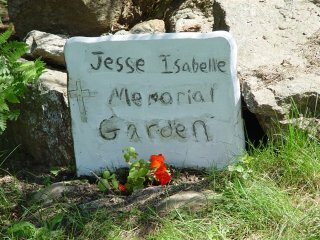 From the moment he heard of Jesse's death, he immediately went to his back yard, and began making a "Jesse Memorial Garden"! We just went up to see it-- and words just cannot tell you how beautiful it is!! 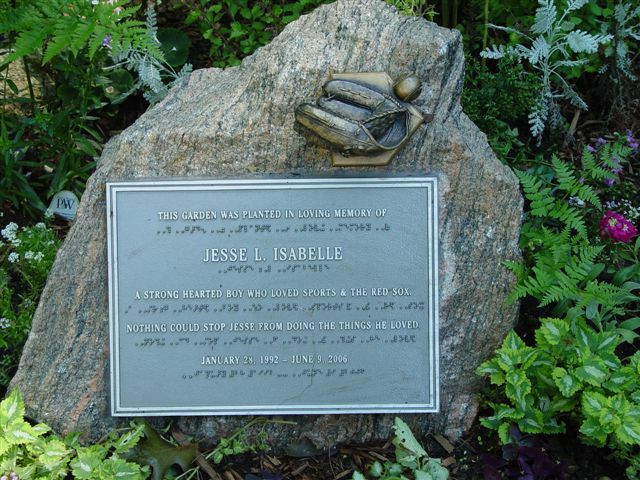 You can feel Jesse's presence-- each and every flower planted according to Cody-- has meaning! The beautiful rock wall is amazing. 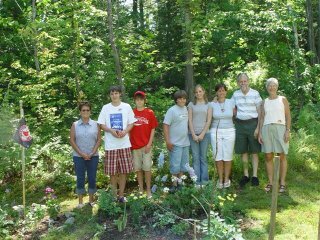 We had a garden marker made with a message written by Cody-- it is even in Braille!